Salt Lake City, Utah, USA – SA International (SAi), the leading provider of software solutions for the professional sign making, wide-format digital printing and CAD/CAM for CNC machining industries, has announced that its industry-leading Flexi software has been fully certified by leading color communication systems manufacturer, Color-Logic, for use with its Process Metallic Color System™ for the wide format and sign markets. As Color-Logic’s flagship product, Process Metallic Color System™ allows users to easily incorporate complex metallic colors into wide format prints. With the certification of SAi Flexi 11 and 12 for use with all metallic-capable inkjet printers, print providers can produce a host of applications, including posters, billboards and premium signage. This represents a haul of benefits, in particular the assurance of accelerated productivity, higher-quality output and reduced production costs by reducing mistakes. The more streamlined design-to-print process allows wide format print providers to dramatically reduce the time-consuming manual steps required, crucially accelerating their turnaround time. In addition to an optimized workflow, the ability to offer premium metallic print applications enables companies to differentiate their signage and stand-out from the crowd. This latest certification by Color-Logic follows the recent accreditation of SAi’s Flexi and PhotoPrint RIP software with Color-Logic’s Touch7 extended colour gamut system. Headquartered in Salt Lake City, Utah, USA, SA International (SAi) is recognized as a global leader in providing complete, professional software solutions from design to production for the signmaking, digital printing, screen-printing and CNC machining industries. SAi Flexi ranks as the world’s number one software for signmaking and is found on more wide-format printers than any other RIP. In addition, the company is one of the leaders in the CNC machining market with its EnRoute CAD/CAM software. SAi is also the founding sponsor of the International Sign and Printmakers Guild, a member-led organization designed to help sign and print providers grow their businesses and reduce costs. SAi has a loyal and well-distributed network of resellers around the world with over 100,000 customers in more than 50 countries and enjoys strong OEM relationships with industry leaders. As well the USA, SAi also has offices in Brussels, Belgium; São Paulo, Brazil; Pune, India; Shanghai and Hong Kong, China and Tokyo, Japan. West Chester, Ohio, USA; February 2016—Color-Logic has announced the certification of the Screen Truepress Jet L350UV digital label press. Discussing the certification, Color-Logic Director of Sales and Marketing Mark Geeves commented: "Screen has an excellent reputation for producing superior print quality by controlling and utilizing print head technology, and the samples supplied for certification demonstrate what brands can do to differentiate labels and packaging. The use of Color-Logic technology at the design stage, together with Screen white and CMYK inks, enables converters to differentiate brand customers from their competition." To receive a Color-Logic print sample produced on the Truepress Jet L350UV press, contact your local Screen demo center or Color-Logic at info@Color-Logic. Color-Logic™ develops color communication systems and software tool sets for a variety of special effect printing applications. 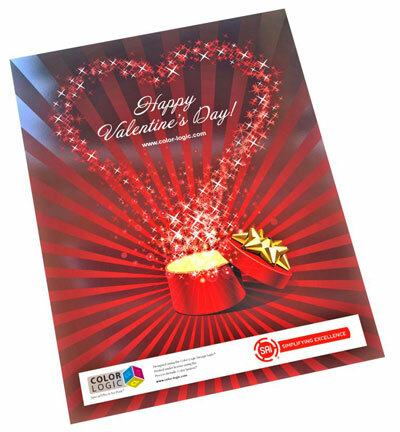 Color-Logic provides brand owners, product managers, corporations, and their advertising agencies the ability to differentiate themselves and their clients with a simple print production process that yields dramatic results. Color-Logic decorative effects utilize the existing workflows of printers and designers, yielding dynamic results without the use of special equipment. Color-Logic supports the value of print and works with designers and printers to enhance their printed media.